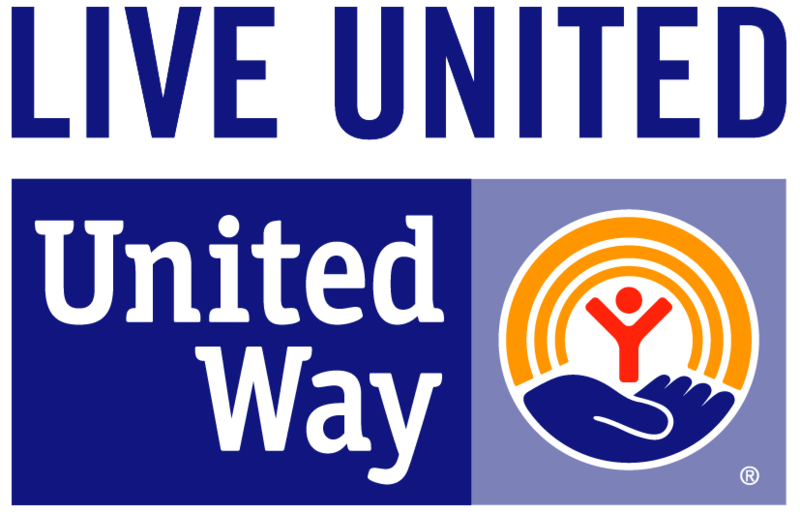 Goodwill Industries of Northern Illinois > Mission Services > Let’s Go To Work! The Let’s Go to Work Program gives adults with disabilities the opportunity to work and earn valuable skills and wages. Work is performed in Goodwill’s retail stores with a Goodwill job coach. Additional elements provided to all participants are work readiness training, case management, and a supportive work atmosphere. We operate this program in Beloit, Crystal Lake, Freeport, Huntley, McHenry, Ottawa, and Sterling. 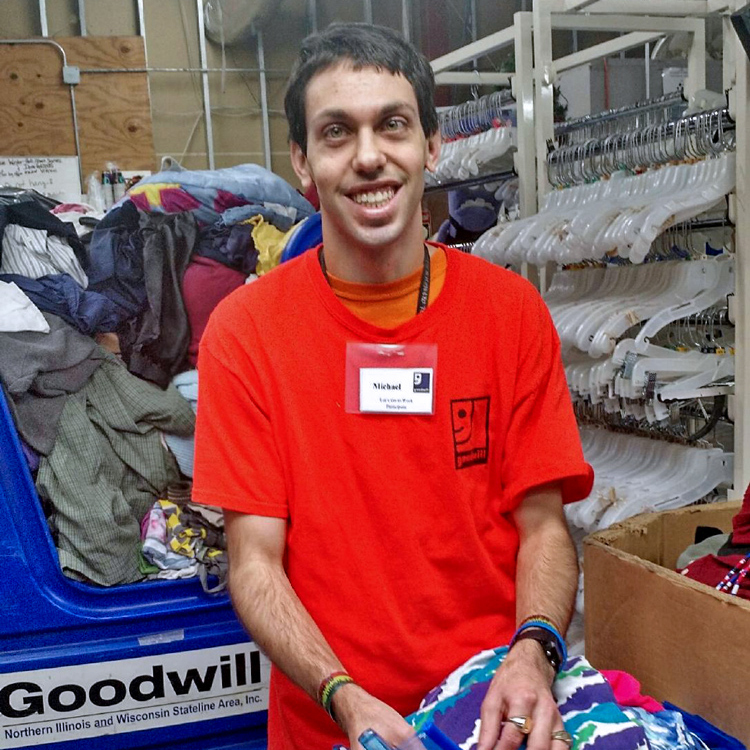 Zach works at the Goodwill store in McHenry, IL. He’s a great worker and always wants to learn new tasks and help his teammates out. One of Zach’s main tasks is to sort, tag, and price belts and ties. He also works on the sales floor organizing the belts and ties and making the displays look neat. He is very detailed in his work and enjoys making sure every item he puts on the sales floor is appropriate. 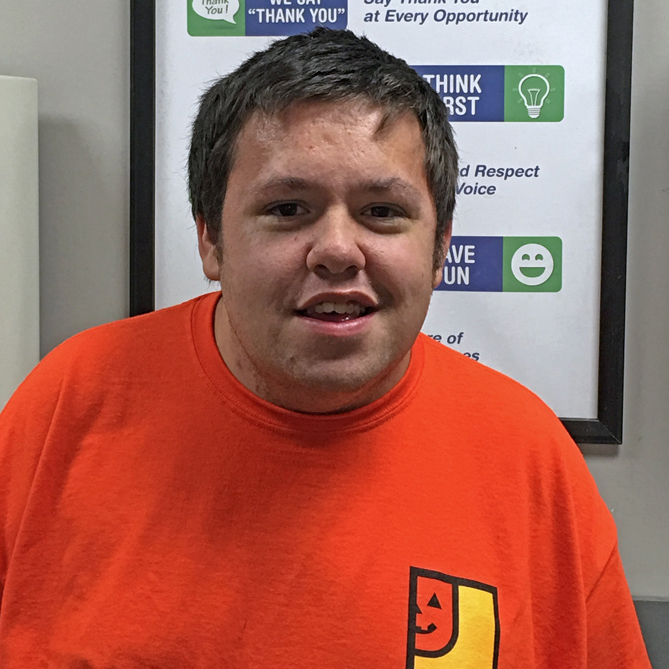 Recently, Zach met his employment goals and was moved into the Transition Phase of the program. His Job Coach started going over interview questions with him and worked on his resume. Zach applied to JC Penny and got hired in the men’s department working as a Sales Associate! He works 18 hours a week and he enjoys learning new tasks and having extra spending money. Nice job, Zach! Michael works at the Goodwill store in Freeport, IL. Through Let’s Go to Work, Michael has gained confidence and talks to his peers and other Goodwill employees. Michael’s main job duties include sorting, hanging clothes, and rejecting clothes on the sales floor. His favorite task is the rejecting. He enjoys being on the sales floor with the customers and being able to talk to people. Michael has worked with his Job Coach to develop customer service skills and he uses these skills every shift! Keep up the great work, Michael!